No, I didn’t do it. I didn’t register in time because I was still humming and hawing over how I’d manage to get up and out to Sunway in time to start at 6.50 AM race. I need to eat a good breakfast and have a couple of coffees before I can run in the morning so for an early race that is an hour’s drive away I reckon I’d have to be up at the latest at 4.30 AM. Not ideal for my first morning race. I’m also a very poor sleeper so a 4.30 AM start would pretty much guarantee I wouldn’t sleep at all which by race time would be disastrous, even with adrenaline pumping through my veins. But I do realise that if I want to race in this country, I will have to overcome my early morning aversion so I have signed up for the great Eastern Race on Nov 4, which starts at 7 AM, 5 minutes drive from my house. This seems a relatively gentle start to the world of morning racing. 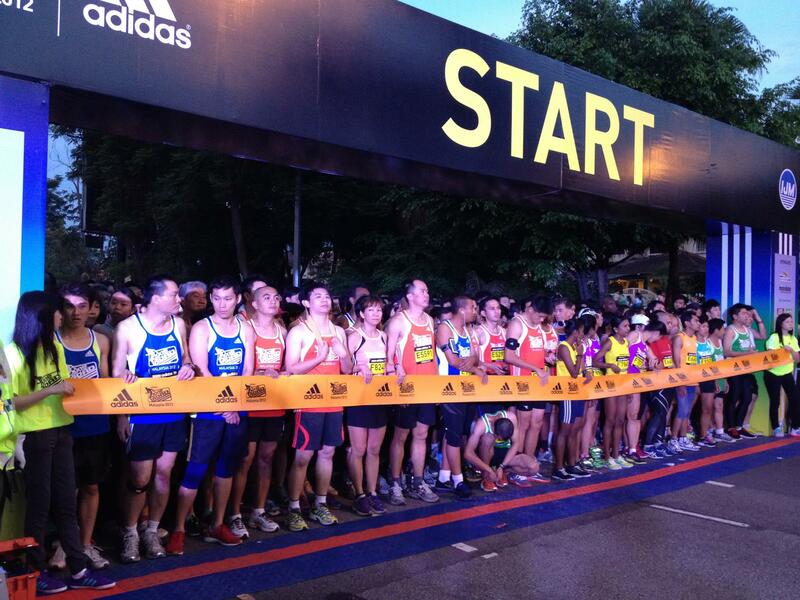 Anyway, well done to those brave souls who did tackle the Adidas King of the Road race yesterday. There were 16.5 km and 10 km races. The 16.5 Women’s Closed race (I think this was a a Malaysian only category) was incredibly fast with the winner crossing the finish line after 1:10:04! The Open 10 km was rather slower in pace and the winner took 59:27 to cross finish. I’m not obsessed by timing or anything – ok, just a little bit maybe – so I do have to remind myself that the only person you are racing against really is yourself and simply finishing any course is an achievement in itself. Well done all you finishers!